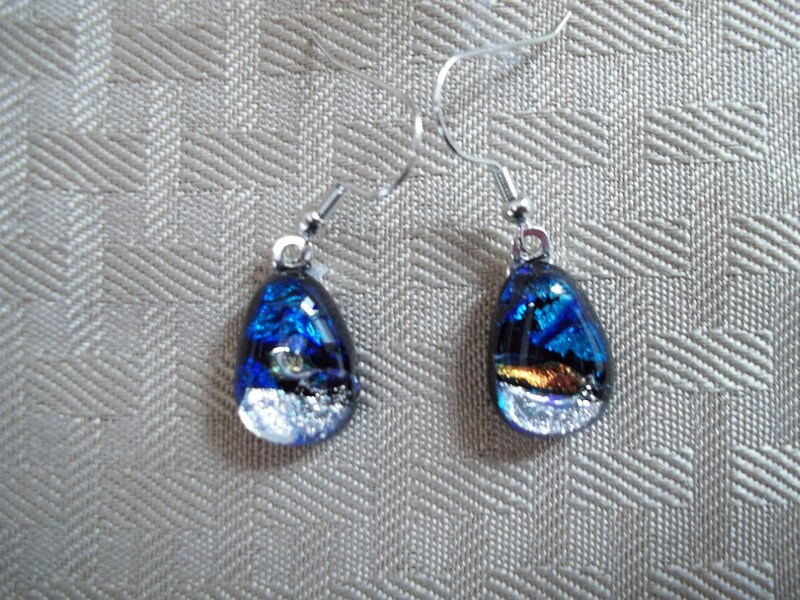 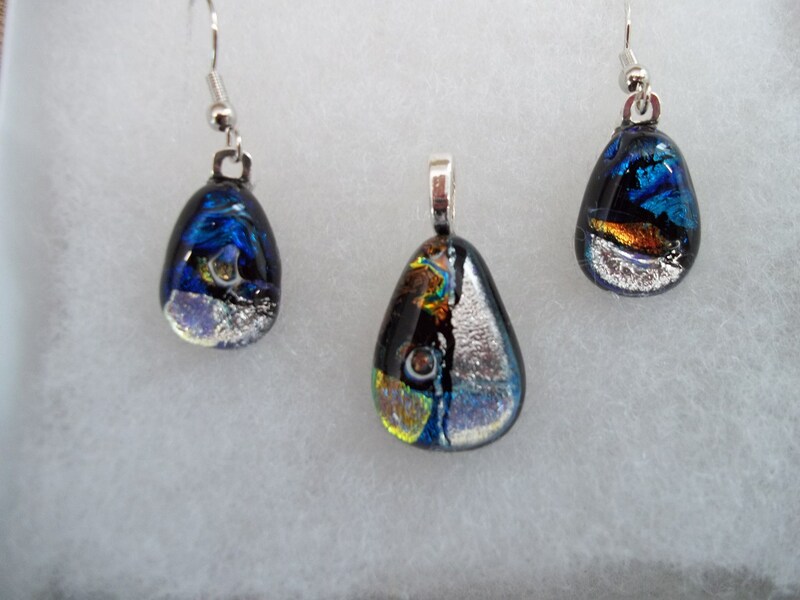 This stunning pendant and earring set was handcrafted out of beautiful dichroic glass. 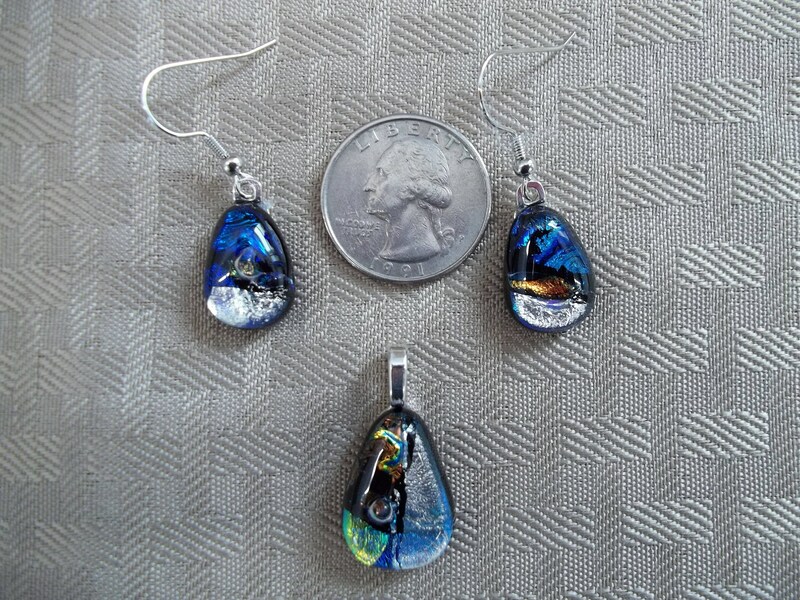 Tear drop shaped, the primary colors are silver, black and blue with sterling silver bails. 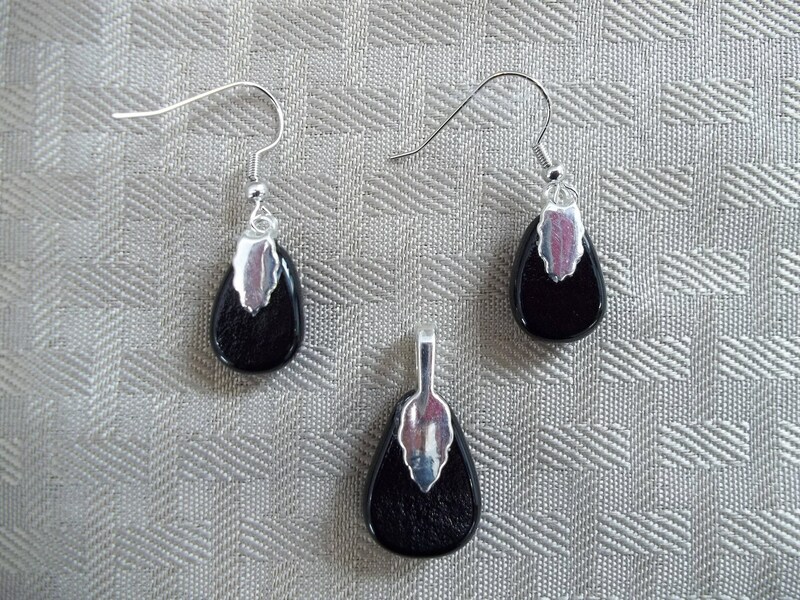 The dangle earrings measure approximately 7/8" to the top of the bail and the pendant measures approximately 1 1/4" to the top of its bail. 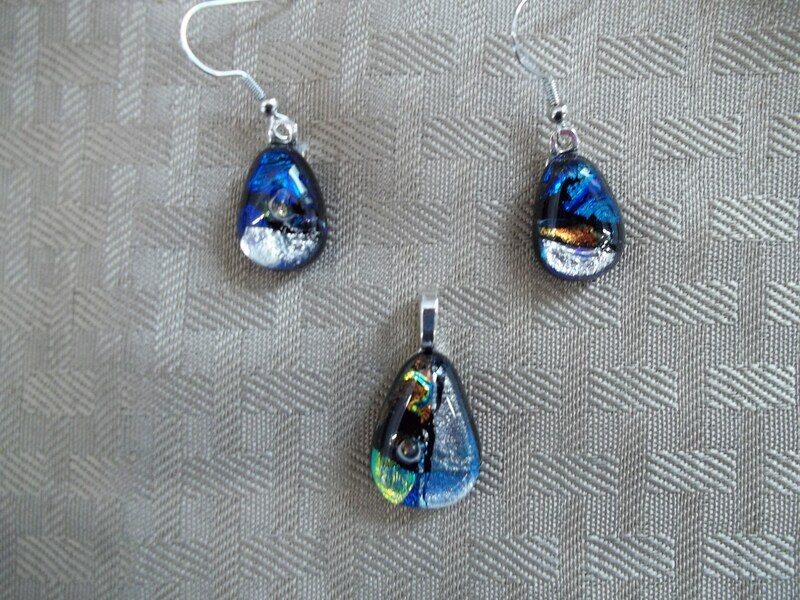 This set comes boxed and ready for gift giving.